We are a 4th generation farm family. Our Great Grand Father, Robert Marsh Roberts married Sally Burns Sossamon from a neighboring farm on his return from service in the Civil War. Following their 1868 marriage, they subsequently settled on the present day Farm, which was owned by Mr. Al Bost, a bachelor, who owned several farms as well as a Grist Mill. 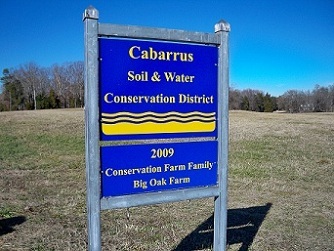 Thus began the Roberts’ tradition of farming what today is the Roberts’ Big Oak Farm. Our Grand Father James Benton Roberts purchased the farm at auction after Al Bost's Death in the early 1900s. Grandfather Roberts as well as his son, James Bost Roberts , were both born in the original Bost log home that dates to the early 1800s. Ownership passed from James Benton Roberts to James Bost Roberts and then to his six sons and one daughter. The farm has been under continuous care and farmed by the Roberts for almost 150 years. The original Bost log home and log barn as well as the site of the former Grist Mill still exist on the farm. 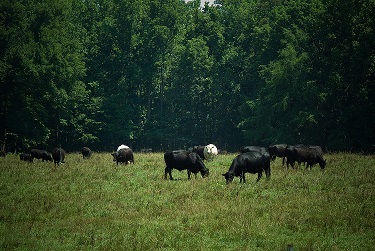 Today, Roberts’ Big Oak Farm is a family owned Black Angus Cow/Calf operation. Article - Law Enforcement and the United States Navy have deep roots in the Roberts’ family.